General Information. Or: About this Vegan Food Guide. 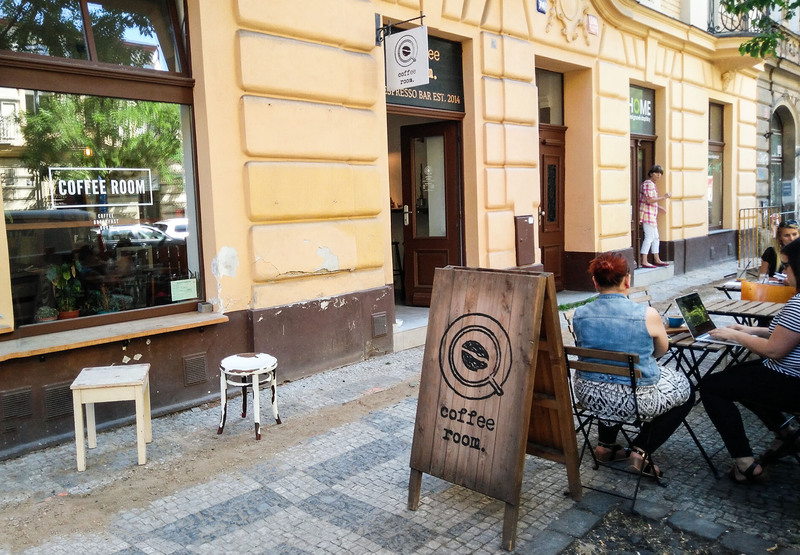 Finding a good vegan place to eat in Prague is not that easy. To avoid any disappointments look ahead and book an apartment with kitchen in the first place (or stay at someone’s couch). Go to farmer’s markets (the product range in supermarkets is… Well… Not the best) such as the market at Jiřího z Poděbrad. There you can even find a stand with organic bread which sells vegan cakes for a really good price. Fully vegetarian restaurant with quite a few vegan options. Its price range is a little bit high but it’s definitely worth it. It’s located at Boršov 2, Praha 1. But you should probably call them before you go, they are packed every time. If they don’t answer go there a day before and book a reservation or be there before six o’clock – maybe, if you are lucky, there is a free table. 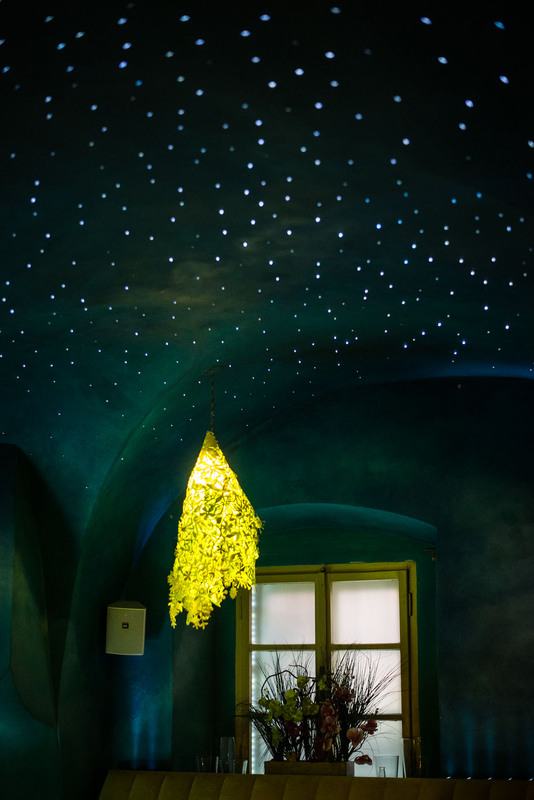 Oh, and ask for the room with the stars. Trust me. What you should try: Vegan Gyros and raw-vegan cheese cake. By the way: The vegetarian burger is also said to be really nice (sadly no vegan option here :/). If you are more into cheaper and faster cuisine, Moment is something for you. It’s 100% vegan so you can get whatever you like from the menu which has everything from burger to wrap, but also quesadillas or scrambled “eggs”. You can find it at Slezská 62, next to a park in a really nice area. What you should try: Vegan quesadillas, the bagel and one of the peanut-cream-cakes (they are often a bit dry without cream). The breakfast-pancakes are also good! Plevel is a vegan and raw restaurant located at Krymská 2 (another one at Jindřišská 5). I’ve been there once in my last week – but if I had known it before I would have come more often! I only tried the raw zucchini lasagne which was delicious. Raw pancakes sound also extremely great but they were sold out when I’ve been there. You have to go, experience more of the raw cuisine and tell me then, deal? What you should try: Everything raw! You can find the menu here. 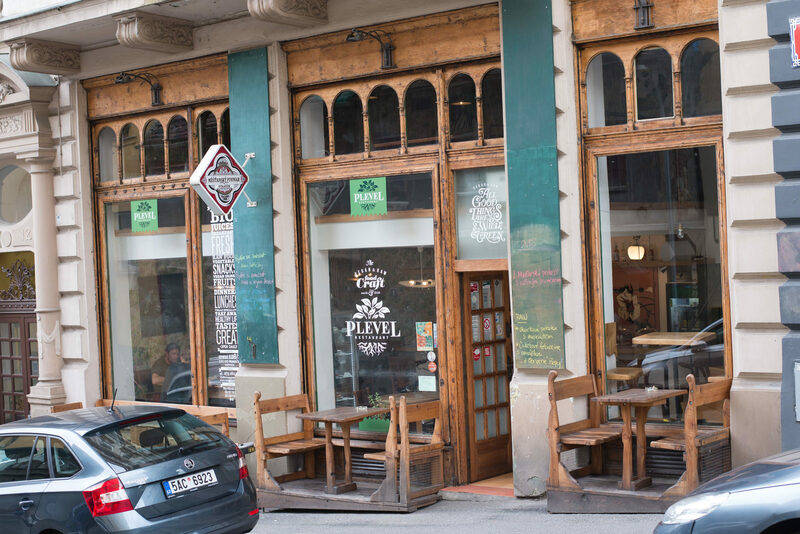 The more universal restaurant is Phollow, located at Krakovská 3. 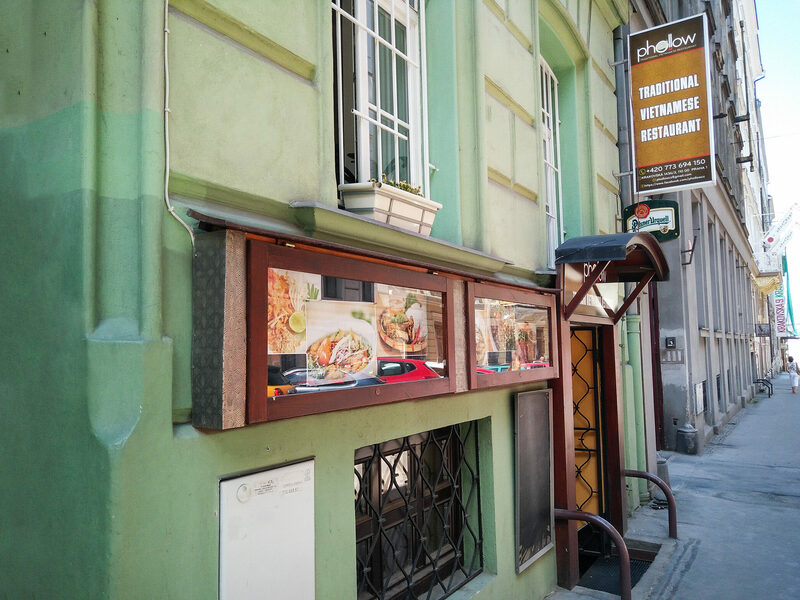 It’s a Vietnamese restaurant and as Prague’s biggest minority group are Vietnamese people, I dare to call it “typical Czech”. If you are out with your meat-eating friends, Asian restaurants are always a good idea. I’ve tested several ones and in the end I always came back to this one: It’s atmosphere may not be the nicest but it’s also not bad and the food is de-li-cious. I love the Thai-Curry with Tofu but there are several more vegan dishes on the menu. The last one is not really a restaurant but a café where you can get a really nice brunch. 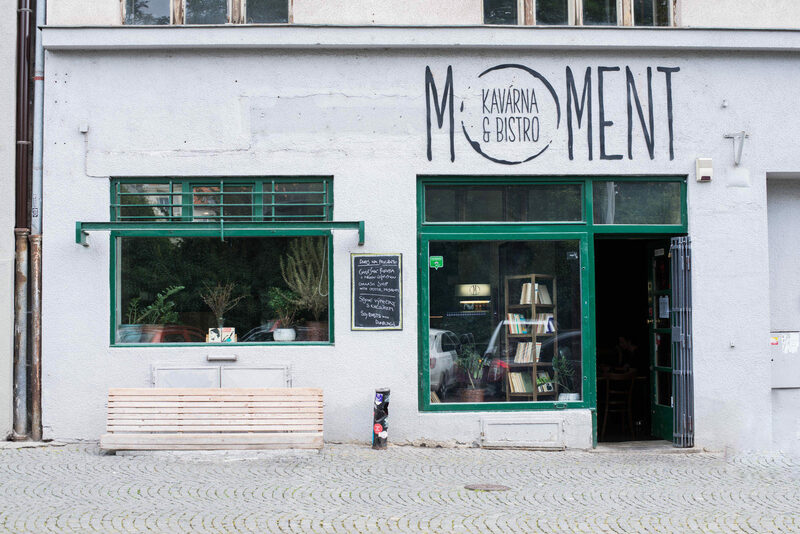 It’s located at Korunní 74 and really, really small but nice with some outside-seats in summer. If you are lucky they also have vegan cakes (I had one once that was deliciously moist), otherwise try the yummy avocado-breads (and don’t forget to tell them that you are vegan). And in the end… Please avoid. As you can see: My list of really nice places to eat is not too long. I tried a lot but in the end I always came to the conclusion that these are the best. Of course it’s also great to try something new but please, please keep away of big chains (even if they are vegan chains) – I tried them and it was the worst experience ever. Also, if there is a strange smell at the entrance, turn around and go. I’ve been to another vegetarian restaurant where they served “Vegan Beijing-duck with pancakes”. It was really good but much too expensive (especially for a friend of mine who had a small piece of mozarella for almost 200 Kc (so 8 Euro)). Besides, they served me bread with egg to my falafel-plate even though I told them that I want “a vegan falafel plate, please”. Okay, they told me while serving that the pita-bread isn’t vegan (why??) but why giving it to me in the first place? Too sad for this nice restaurant. Change your prices, change your bread and I will come again. 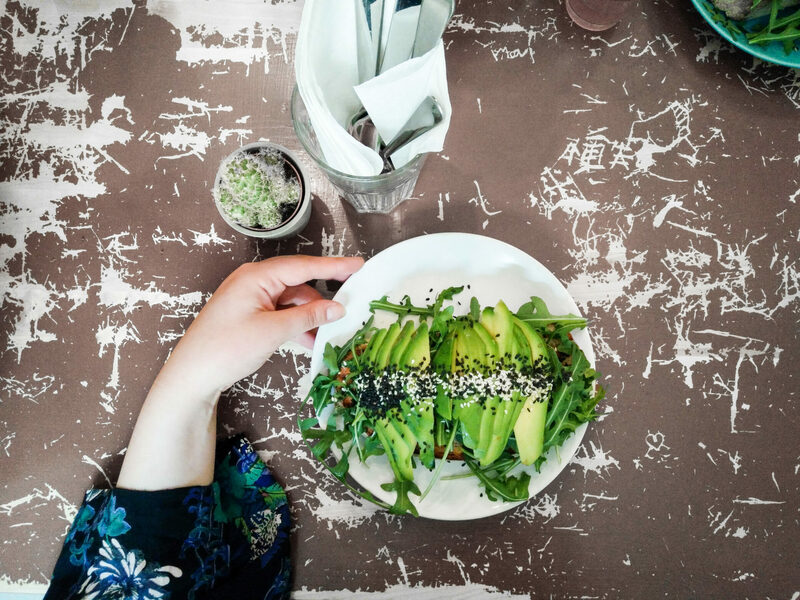 So and now, after reading this very long Vegan Food Guide: Enjoy your time in Prague and have some nice evenings eating out!